the Dabadabada agency for interior decoration, and Jean Laforgue, a conservationist architect. and return Domaine de Biar to its original splendour. Alimentation : we propose products from the garden or organic products from local farming and/or directly from our vegetable garden, chicken coop or orchard. 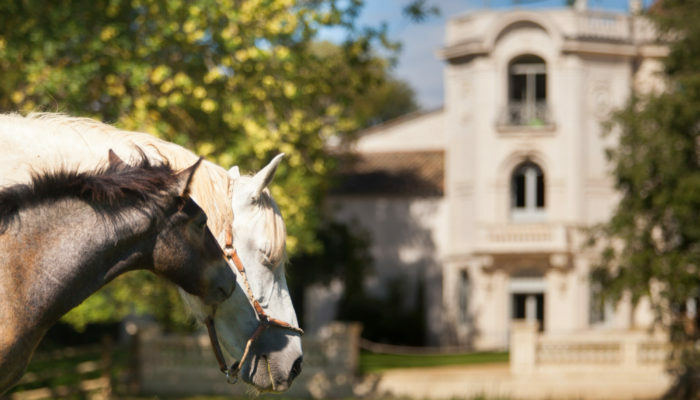 Water : the Domaine has it’s own water supply : water is pumped from a deep underground well and filtered and treated, the water is of excellent quality and controlled by certified organizations. Used water is treated by a phyto-filtration system, then the water is released into the nature. Heating : the heating and air conditioning systems were rigorously studied by a consultancy firm called Midi-Energie to minimise CO2. A heat pump system which uses external air and a circulation circuit of water of low temperature in the walls, ceilings and floors, offer both excellent ambient comfort and the best overall return. Agroecology : the vegetation retains carbon in the biomass and turns it in organic matter. The sustainable agricultural practices allow to store the carbon and to fight effectively against the global warming. «The restoration of lands contributes not only to the fight against global warming, but also to the durability of the agriculture, food safety and to the reduction of poverty.» Monique Barbut – executive secretary of UNCCD . 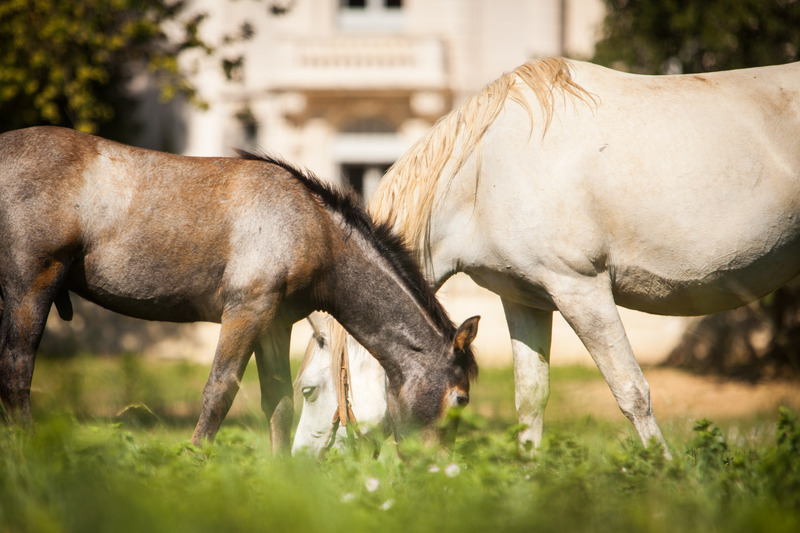 Biar’s breeding renovated and maintains 50 hectares of meadows not ploughed near Montpellier which feed horses and cows. We use exclusively organic fertilizers. Society : Biar takes part in various projects of territory defense, defense of the environment, humanization of the company… The horses of Biar are the actors of the project ‘ La Camargue et des hommes ‘ (www.justice.gouv.fr/prison-et-reinserti on-10036/lequitherapie-en-milieu-carcer al-26106.html) within the jail of Arles and Tarascon. Bertrand Schmitt is the president of the Association “Bionne-Mosson” ( www.bionne-mosson ) and President of the Association “Amis du Villaret des Brévières”. Transport : we are using when we can electric vehicles for the needs of the domain. We provide electric bikes for the customers and a charging station for electric vehicles.